The alternative to the Continuous Bucket Conveyor is the Pendulum Bucket Conveyor which offers numerous line layout possibilities. Besides the standard Z and C shapes, special designs like O or T are available. The conveyors can lift or lower product and can be designed to run in either direction. There are limitless possibilities for the location of in-feeds and outlets. The discharges can be activated independently in almost every position. They can be actuated pneumatically or electrically with feedback signals. One of the main uses of the WIESE Pendulum Bucket Conveyors is within the food industry because of the gentle handling and the ease of cleaning. The buckets meet FDA standards and are installed free swinging, they can be both dismounted and mounted at any location by hand without the need for any tools. This gives the user the ability to wash the buckets outside of the casing thereby avoiding the introduction of moisture. The buckets always hang upright and close in the horizontal with overlapping flanges. This ensures no material spillage occurs between the buckets at any point. 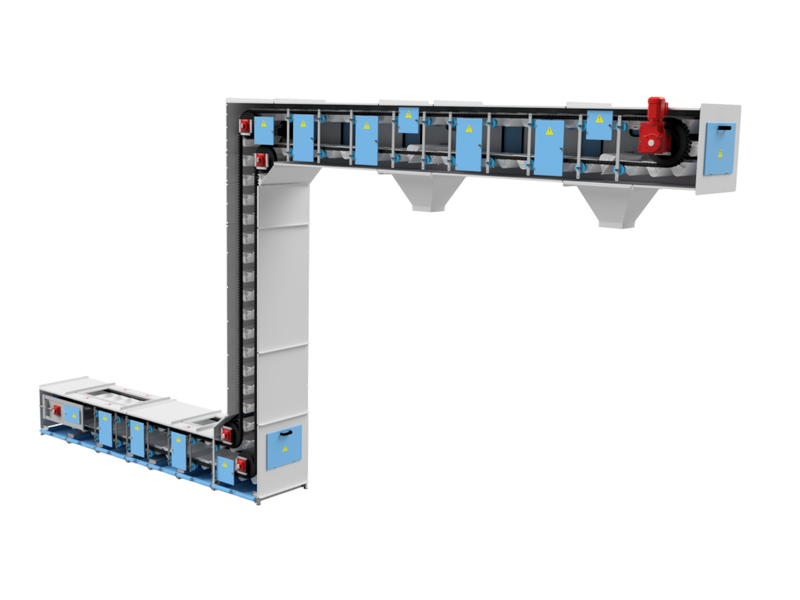 The casing comes in standardised modules which can have either inspection openings or an “easy to clean” option with large, removable side covers in the horizontal sections. There is an ideal casing for every application.